France came from two goals behind as they warmed up for Euro 2012 with a 3-2 victory over Iceland, with Adil Rami netting the winner late on. France came from two goals behind as they warmed up for Euro 2012 with a 3-2 victory over Iceland in Valenciennes, with Adil Rami netting the winner three minutes from time. 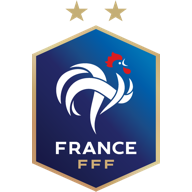 France, who have been drawn against England, as well as Ukraine and Sweden in Group D at the Euros, will take on Serbia in another friendly on Thursday. Blanc's men had the first shot on goal, Yohan Cabaye's curling attempt from the left blocked by midfielder Kari Arnason and from the resulting corner the Newcastle midfielder drilled the ball wide.